Specimen collection numbers PTM 465 (left) and PTM 454 in the UBC Herbarium Algae Databse. Search the collection number in the database for more information on this specimen, or search the species for further occurrences. Images courtesy of Sandra Lindstrom. 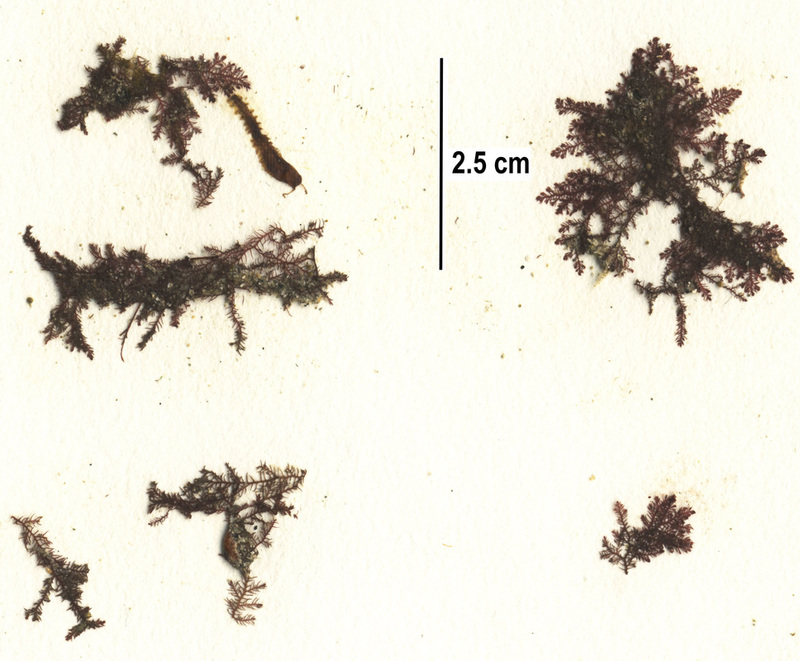 This red alga has fine branches and a fuzzy appearance. Due to a large number of similar-looking, relatively small species found in the Pacific Northwest, an accurate identification will require a microscope and a key. 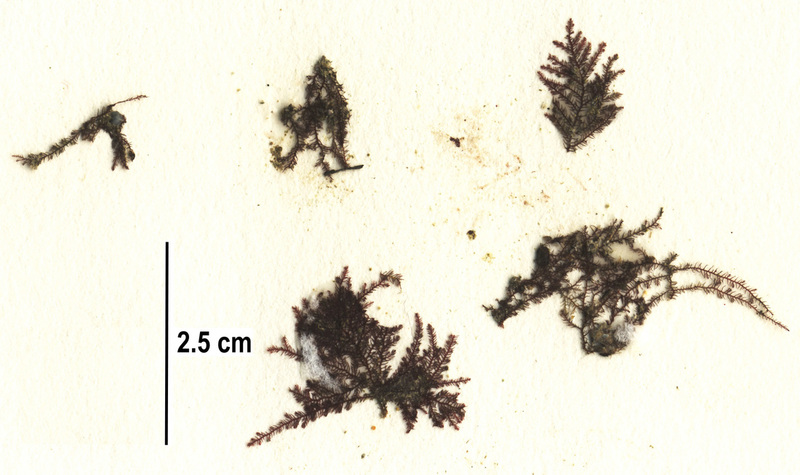 The above specimens of Herposiphonia plumula were found in the shallow subtidal of Calvert Island beaches, growing on rock (left) and on a southern stiff-stiped kelp (Laminaria setchellii) stipe (right). This species has been reported in the Pacific Northwest from Alaska to Washington, as well as in Korea and the Philippines. Guiry, M.D. & Guiry, G.M. (2015). Herposiphonia plumula (J.Agardh) Falkenberg. AlgaeBase. National University of Ireland, Galway. Accessed 12/06/2015.